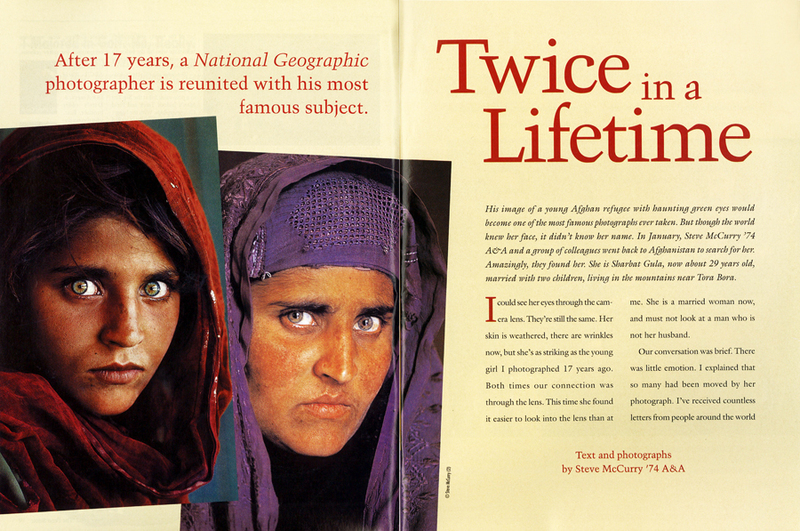 In our May-June 2002 issue, McCurry talked about being reunited with his most famous subject. Well, OK, Steve McCurry himself won’t be at the Palmer Museum of Art this summer. But a major exhibition of his photography, called Face of Asia, opens at the museum this coming Sunday, June 21, and continues through Aug. 16. It’s perfect for anyone who plans to be in State College for the Central Pennsylvania Festival of the Arts (scheduled for July 9-12). McCurry ’74, who was named a Penn State Distinguished Alumnus a few years ago, is an internationally known photographer whose work has appeared in National Geographic and other publications. He’s best known for his haunting 1985 image of an Afghan girl (shown above in a 2002 spread from The Penn Stater). I just learned from Dana Carlisle Kletchka, the Palmer Museum’s curator of education, that that famous photo has a name—”Haunted Eyes Tell of an Afghan Refugee’s Fears”—and that it will indeed be among the photos at the Palmer exhibition. Just seeing that photo blown up to 19″x31″ will be worth the trip up to the museum, as far as I’m concerned. In conjunction with the McCurry exhibition, the Palmer Museum is also offering showings of a 2003 National Geographic documentary called The Search for the Afghan Girl, which chronicles the efforts to find the Afghan girl in that famous photo. It’s a 50-minute film and it can be seen at the Palmer any Sunday afternoon at 1:00, starting this Sunday and continuing through Aug. 16. One more thing. 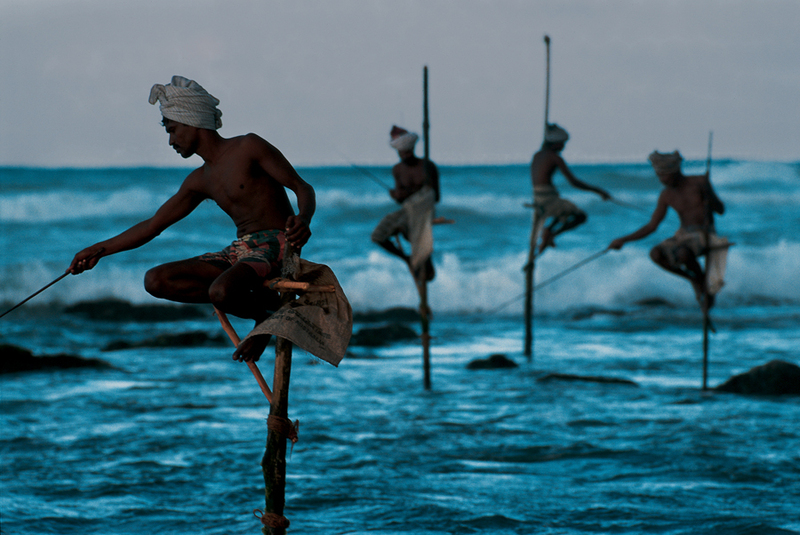 I just discovered that Steve McCurry has an active blog. You can check it out here. Entry filed under: Uncategorized. Tags: "The Search for the Afghan Girl, Central Pennsylvania Festival of the Arts, Dana Carlisle Kletchka, Face of Asia, National Geographic, Palmer Museum of Art, Steve McCurry.